Love these pinch beads and these opaque rose gold topaz luster are a favorite! Lovely pinch beads which I bought more of from this wonderful store as soon as I saw my first order. Pretty, subtle variations in color thanks to the luster finish. Much better, IMHO, than a bright pastel pink. Careful packing and fast shipping are much appreciated, too! 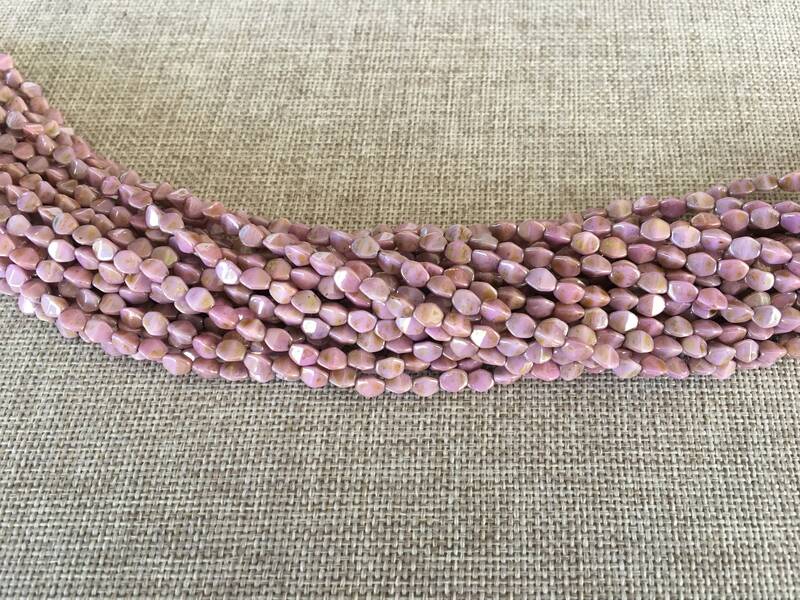 Very elegant pink-lavender-gold pinch beads. I definitely need some more! Thank you for the fast shipment of my order and the gift of a nice cuppa tea, too.